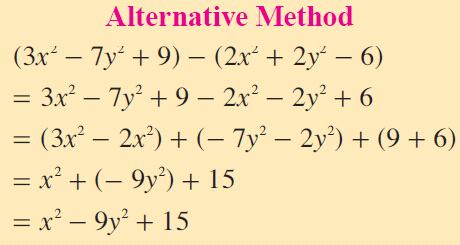 In order to simplify (addition or subtraction) algebraic expressions, we need to combine like terms. Before we do "combining like terms", first let us come to know what are like terms and unlike terms. 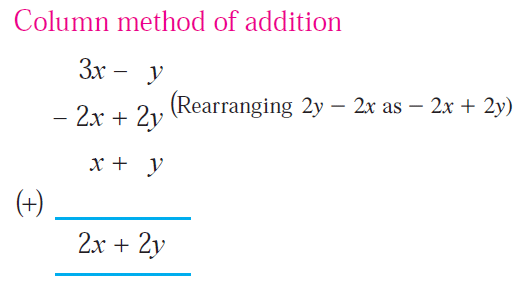 Like terms are the terms which have the same variables with same exponent for each variable. 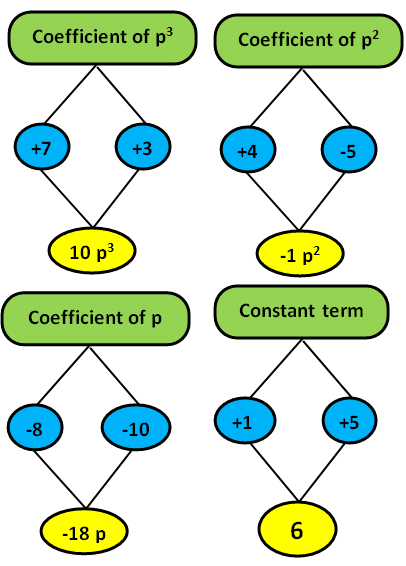 Unlike terms are the terms which have same variables or different variables. If they have same variables, the exponents will not be same. Why should we know the difference between like terms and unlike terms ? After having understood like terms, unlike terms and their difference, students have the question, "Why should we know the difference between like and unlike terms?" or "What is the use of knowing the difference between like terms and unlike terms?". To do simplification (addition and subtraction) of algebraic expression, we have to combine like terms. So we have to know the difference between like and unlike terms. Because, in algebraic expression, we can do addition and subtraction only on like terms not on unlike terms. We hope, now the students would have understood the reason for why we should know the difference between the like and unlike terms. 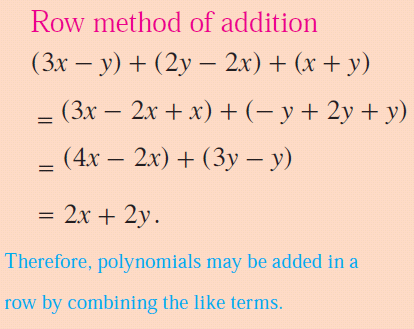 Adding and subtracting polynomials are nothing but combining the like terms. Here we give step by step explanation to combine like terms. Let us look at some examples to have better understanding on combining like terms. Let us look at the next example on "Combining like terms"